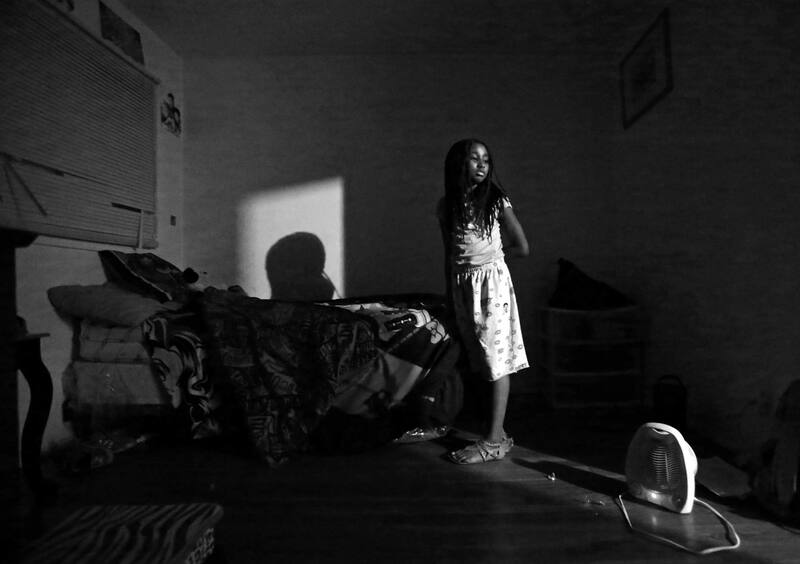 Akeelah Kelly, 8, pauses before going to bed in November 2015. The family had gone without gas heat since September. They were using electric space heaters to warm their home.